As one of the largest conferences of the past decade, this year over 600 delegates of the youth, student and educational travel industry from around the world have come together in Edinburgh, Scotland for the 2018 World Youth and Student Travel Conference (WYSTC). This year’s conference has attracted a record-number of first-time attendees dedicated to young travellers – more than 200 are new to WYSTC. With such a large number of delegates, this equates to 25% more buying organisations and over one-third of buyers participating in WYSTC for the very first time. In total, more than 160 leading international buyer delegates of youth travel products and services are available to facilitate trade. Through partnering with provider organisations, this figure equates to 160 source markets being represented and 3,649,498 travellers sent annually by WYSTC buyers. For WYSE Travel Confederation members attending this premier global youth tourism event for the first time, the welcome reception was a great opportunity to make introductions and get conversations started. David Chapman, Director General of WYSE Travel Confederation, gave a welcoming introduction and encouraged new WYSTC delegates to make the most of all that WYSTC has to offer. In addition, new delegates shared what their key motivations were for participating in this year’s WYSTC and what they were looking forward to the most. Kevin McCormick, Sales and Quality Manager from the University of Bath, was eager to participate in WYSTC. With Bath only 90 minutes from London, and Stonehenge and Oxford within easy reach, it was important for Kevin to get to know nearby organisations. “I knew that WYSTC was a fantastic platform to meet so many people involved in youth tourism. I sell 2,500 beds each summer in the UNESCO World Heritage City of Bath and we already have many successful youth travel partnerships, yet we would like to engage with more as we have a lot of amazing facilities to share”, he said. Meanwhile, Kim Carvajal, co-founder of Study Buddy Tours is looking toward the collaborative benefits by attending WYSTC. “We thought WYSE Travel Confederation was the perfect way to start to grow globally through strategic partnerships and increase our brand exposure. I am looking forward to connecting with WYSE members at WYSTC to collectively provide powerful, engaging education through travel and make a positive impact”, said Kim. For many organisations, it seems the concept of connecting with others is the central motivating theme for attending WYSTC. While delegates attend to build their business, every organisation strategy is different. 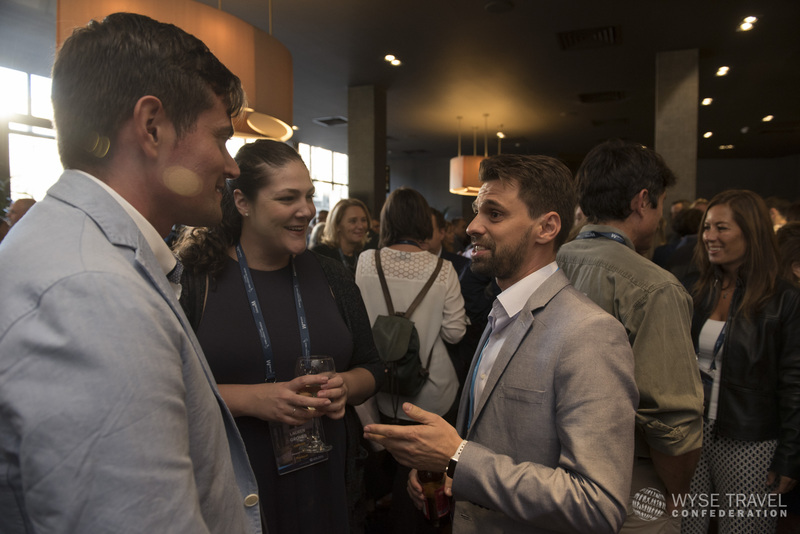 From collaborative initiatives, partnerships, planning and adapting to new technologies, or to simply learn from others, everything is possible at WYSTC 2018 in Edinburgh.